Mungo Park is a very popular and historical name whenever you talk about the exploration of the African continent. He was a Scottish surgeon and explorer. He is popular for being the first European to travel to the central part of the river Niger. You must have heard about Mungo Park. Maybe you also know this major piece of information we gave about him, but there are a lot more to learn about this significant personality. Read on and educate your mind. Mungo Park was born on 11 September 1771 at Selkirkshire, Scotland. His father was a tenant farmer. He was educated at home before attending Selkirk grammar school. At the age of fourteen, he was apprenticed to Thomas Anderson, a surgeon in Selkirk. He studied medicine and botany in Edinburgh university and later went on to do a course in Natural history. After his studies, Park traveled to the East Indies before the African Association chose him to head an expedition to find the source of the Niger River. The African Association was a club dedicated to exploring West Africa. Mungo Park was a staunch Christian, a devoted Calvinist. This was clearly spelt out in an excerpt of the letter he wrote to his friend, Alexander when he was about leaving London to take up a job of assistant surgeon on board the East India Company’s ship Worcester. Mongo Park set out for Africa in 1794 and reached the Gambia River on 21st of June 1795. He ascended it 200 miles (300 km) to a British trading station named Pisania. On 2 December, accompanied by two local guides, he started for the unknown interior. He chose the route crossing the upper Senegal basin and through the semi-desert region of Kaarta. The journey was full of difficulties, and at Ludamar he was imprisoned by a Moorish chief for four months. The reason for the imprisonment is still unknown. On 1 July 1796, he escaped, alone and with nothing but his horse and a pocket compass, and on the 21st of same month, he reached the long-sought Niger River at Ségou, being the first European to do so. On his return, Mungo Park settled at Foulshiels. Two years later, in August 1799 Park married Allison, daughter of his old master, Thomas Anderson. He engaged in practising medicine in Peebles until the government called him up to lead a team to the Niger river the second time. Park, who was already worn out by the hard and monotonous life in Peebles, he readily accepted the request. He was commissioned a captain, led a party of 40 Europeans to Pisania and, on Aug. 19, 1805, with only 11 survivors, reached Bamako (now in Mali) on the Niger. Mungo Park was seriously dedicated to the exploration of the Niger river to the extent that he was ready to give up his life in the expedition. This is what is contained in one of the letters he wrote to the head of the Colonial Office. He also made the same exertion clear in a letter to his wife at the same period. Nothing more was heard about Park until the news of disaster was received. Resuming the journey by canoe, he and his companions reached Ségou, where the local ruler gave him permission to continue his voyage down the unexplored river. Hoping to reach the coast at the end of January 1806, he set sail with eight companions from Sansanding, a little below Ségou, on Nov. 19, 1805. 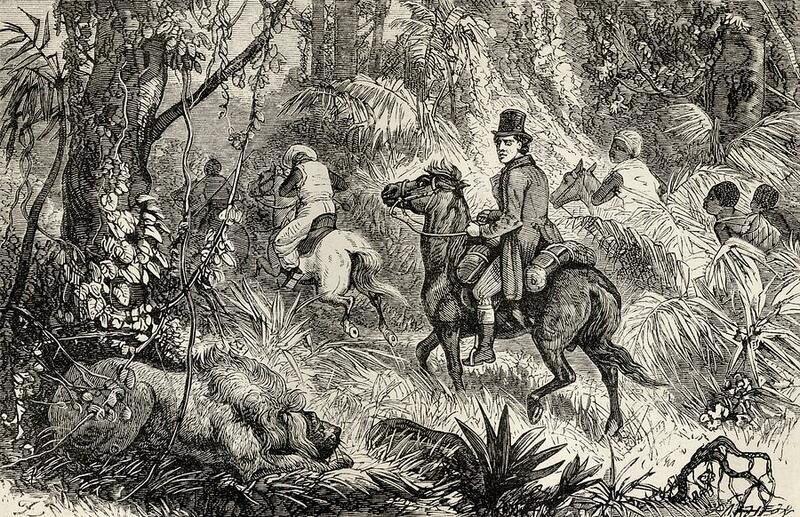 As they went further in their journey, they were attacked by series of armed natives. They escaped the initial attacks but on getting to Bussa, their ship hit a rock and they were attacked with bow and arrows by people, Mungo and others on the ship drowned. Only a slave survived and he was the one that gave account of what transpired. Mungo Park died at the age of 35 and was buried along the banks of the River Niger in Jebba, Nigeria. In 1827 his second son, Thomas, landed on the Guinea coast, intending to make his way to Bussa, where he thought his father might be detained a prisoner; but after penetrating a little distance inland he died of fever. Park’s widow, Allison, who received a previously agreed upon £4,000 settlement as a result of the death of Mungo Park from the African Association, died herself in 1840.